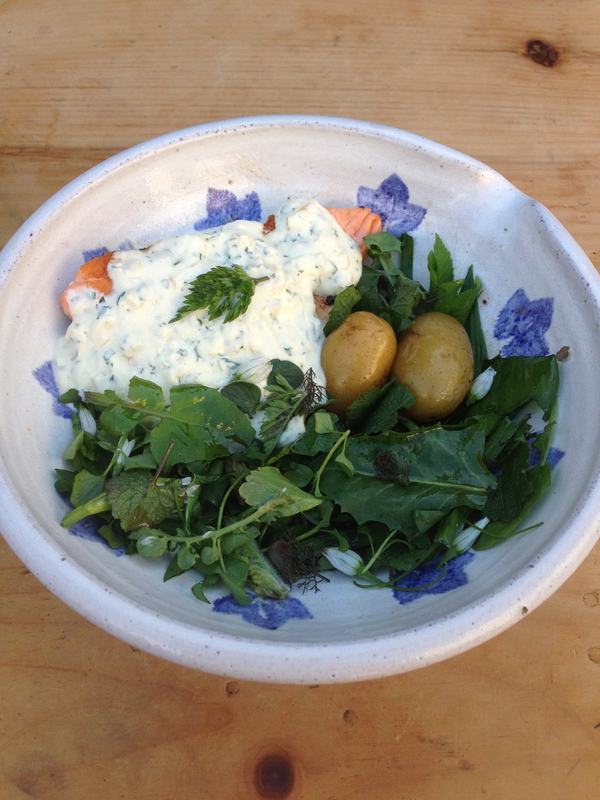 Cream and Wild Chervil sauce, pan-fried salmon and a salad. This was foraged from Brandon Hill Park and included Ramsons, Three Cornered Garlic and Wild Onions. Straightforward tasty food with a highly nutritious, crunchy, garlicy salad. I was fighting off a cold so I put LOTS of garlic in this salad. No sweaty supermarket vacuum packed nonsense here.